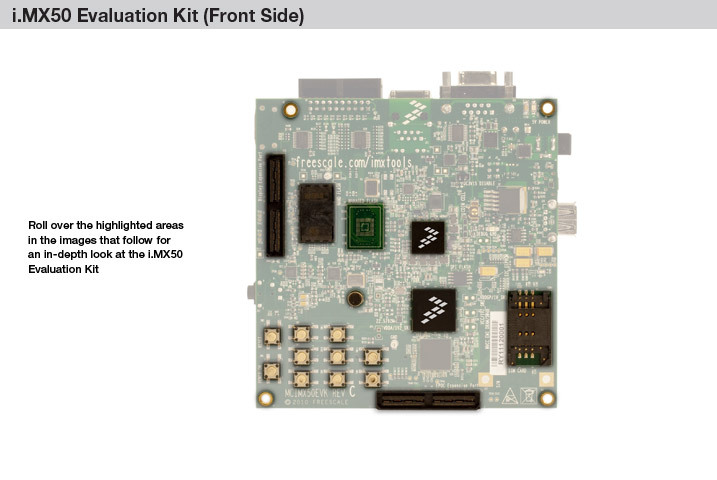 The i.MX 50 evaluation kit offers developers a cost effective platform to develop, debug, and demonstrate their i.MX50 processor based solution. The i.MX508 QSB is industry's first low cost development platform based on Our i.MX50x processor. It has integrated features interfaces,enables developers to quickly prototype their application needs around i.MX508 processor.